This Pintoo Into The Woods 3D Puzzle Clock is a fun and decorative clock made up of 145 puzzle pieces. Just put together the normal sized curvy pieces and the mini sized flat pieces to form this amazing desk clock. The size of the finished clock is 10cm x10cm x 10.5cm. 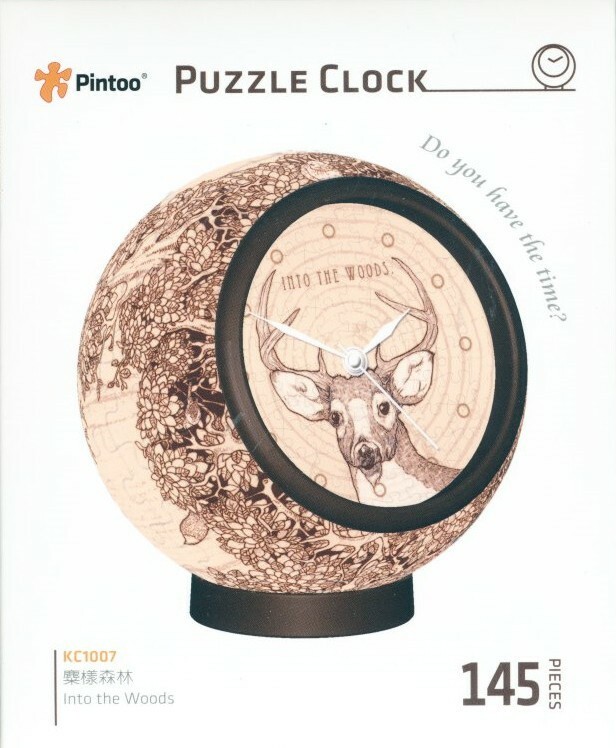 The printing is water resistant and the clock requires one AA size battery (not included).